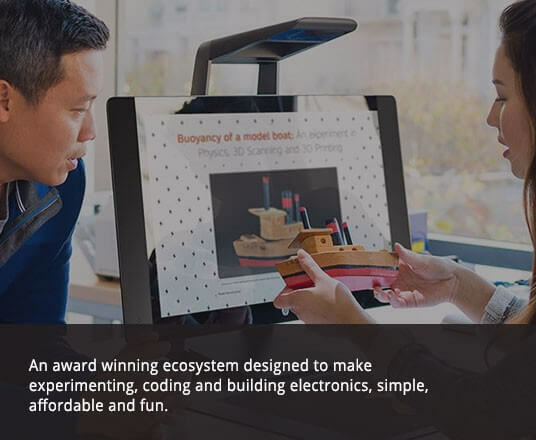 With HP Sprout we engage students in new STEAM experiences and 3D asset creation on advanced technology that builds skills required for the future. It empowers students to explore the physical and digital worlds in innovative ways. Built with a PC, projector, hi-res cameras, Touch Mat and 2D and 3D capture capabilities for an unbelievable experience. Enhance students’ natural ways of drawing, writing and researching with precision digital inking. Highly visual and hands-on experiences are made possible with dual multi-touch displays, a unique 20-point Touch Mat and hi-res cameras. Make collaboration and productivity seamless. Quickly capture objects in 2D and 3D using the unique WorkTools software. Leverage the pressure-sensitive active pen to edit content in real-time and empower creativity. Reduce the need for extra hardware with a system that integrates multiple technologies. It seamlessly adapts to changing environment. Edutech empowers the learners through exploring, developing and exercising problem-solving skills with its 3D Printing and Modelling solutions by Dremel. 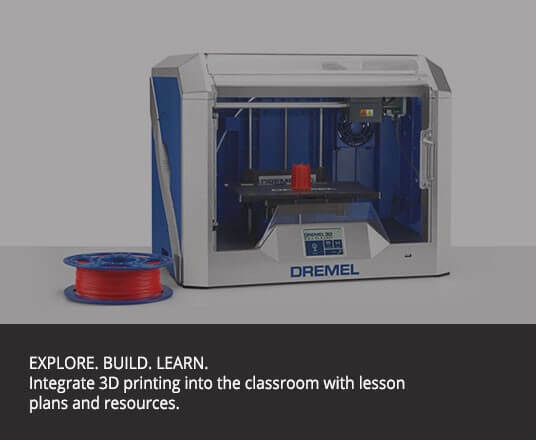 The Dremel Dreams program with Dremel Idea Builder integrates 3D printing into the classroom with lesson plans and resources that are designed to nurture the confidence of educators and students as they explore hands-on applications of STEM in the classroom. An advanced printer with multilateral compatibility (PLS, nylon, ecoABS and more), tested to run for 100s of hours with clog-resistant extruder. To make things easier, it has filament detection via RFID that enables the printer to automatically recognise and change settings for optimised printing. With new features like a heated bed and an integrated camera, you can take 3D printing to the next level. 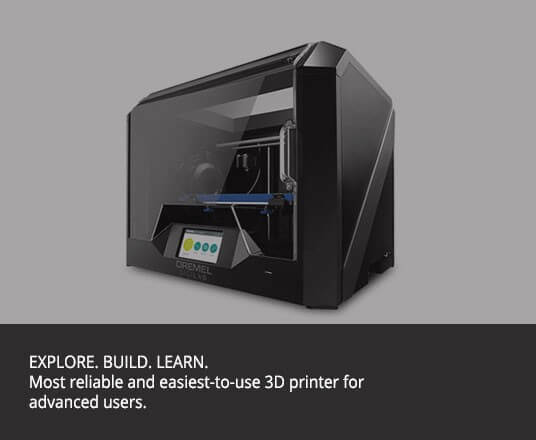 With this 3D Printer also comes the web-based slicing and printing program that allows you to directly print via Wi-Fi or Ethernet connection. Thanks for your details. We will get back to you soon.